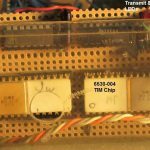 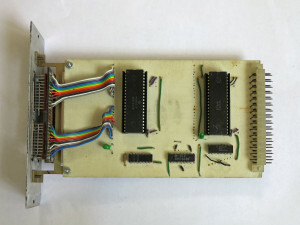 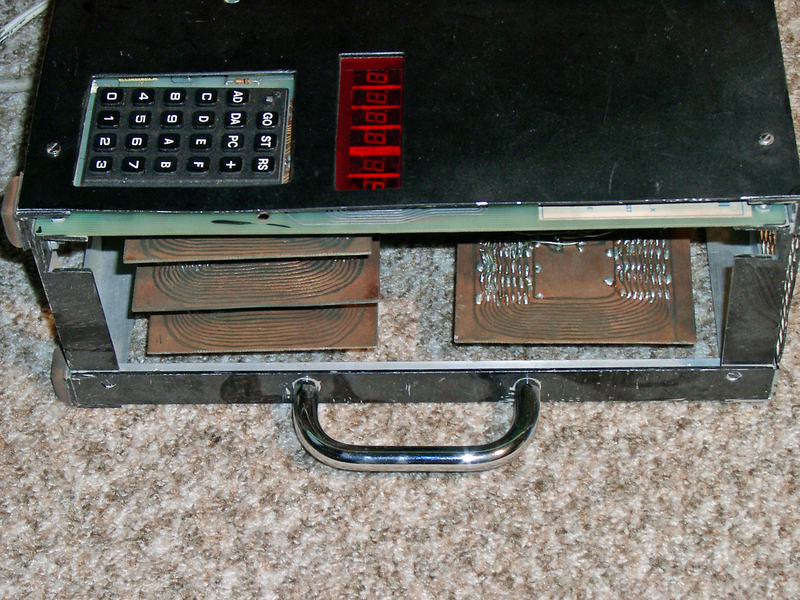 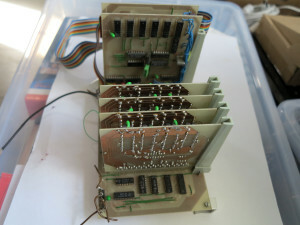 On this page I show you some photos of my current 6502 systems. Click on a photo to see a larger version! 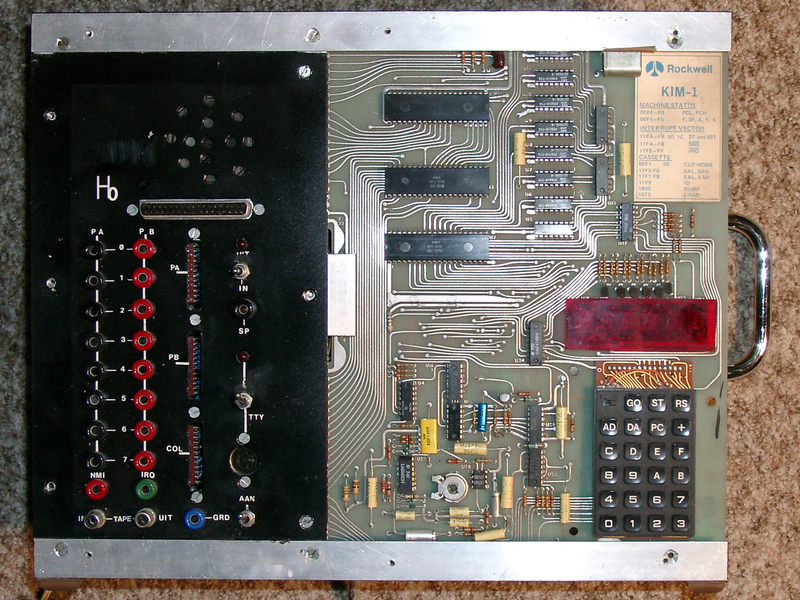 KIM-1 my main system since 1978. 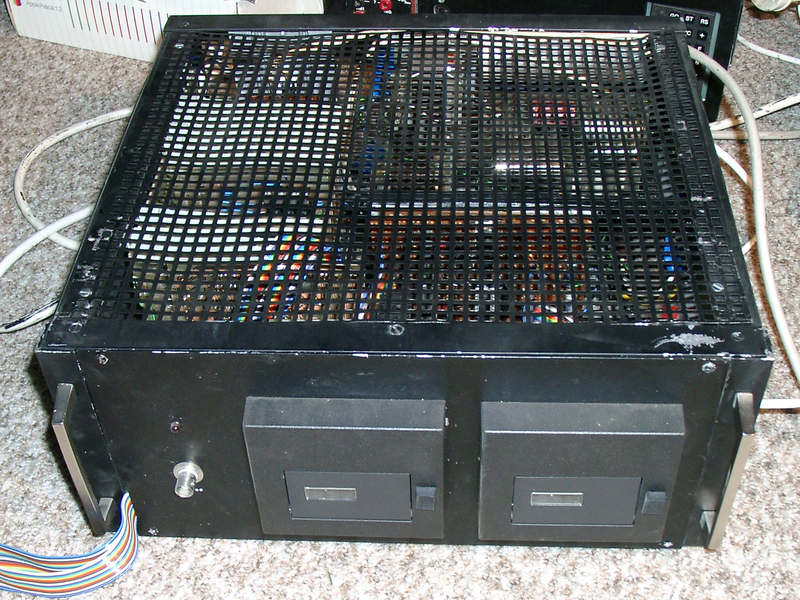 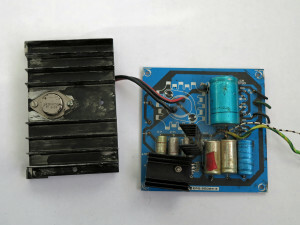 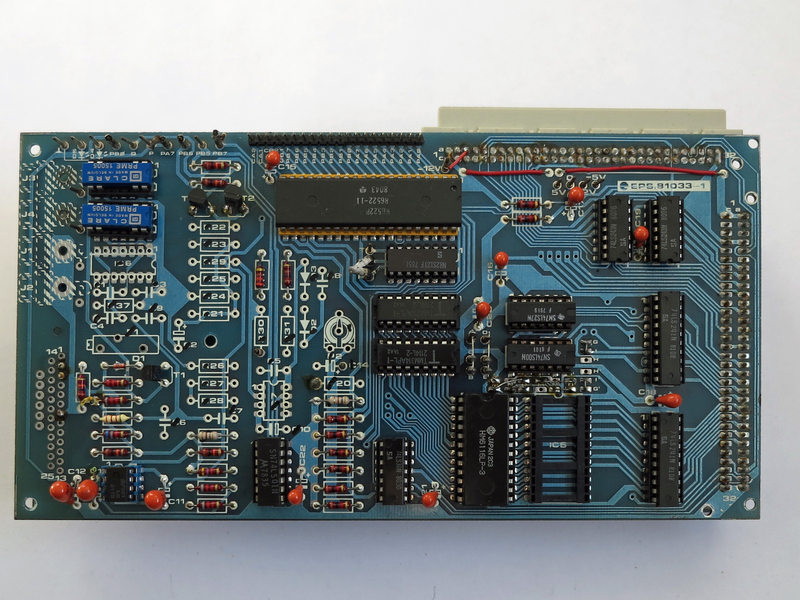 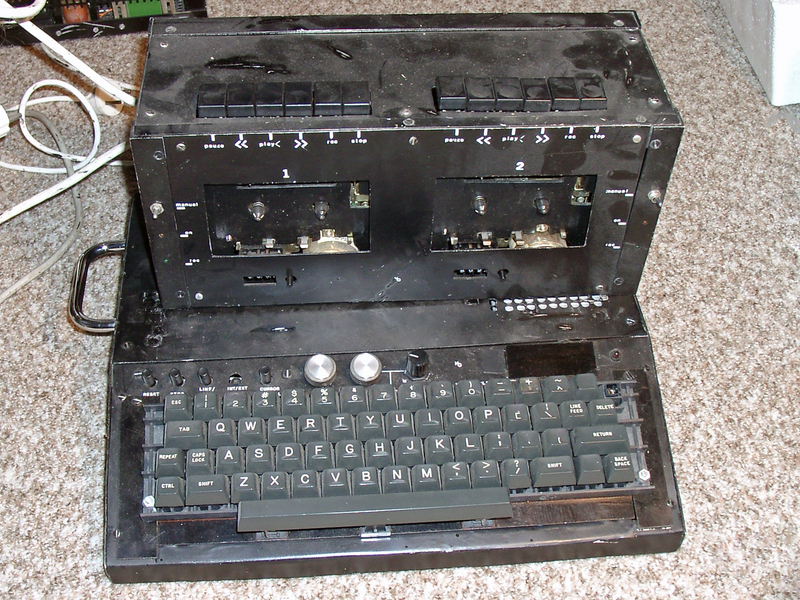 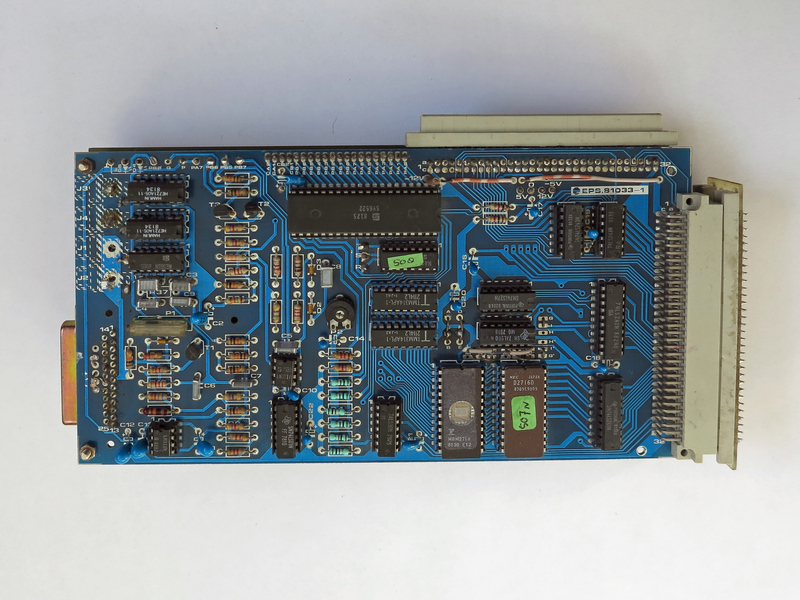 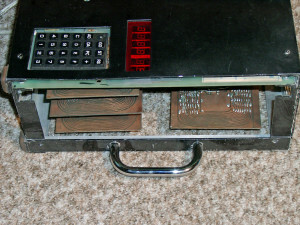 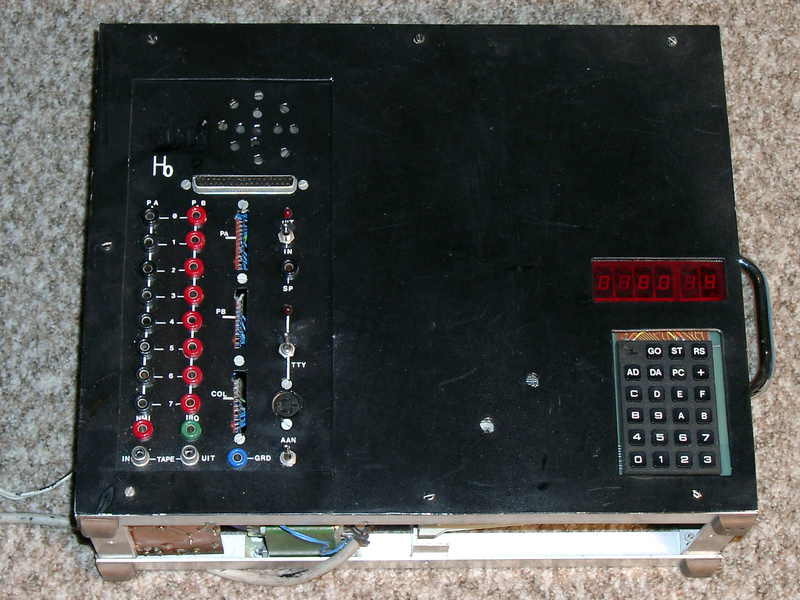 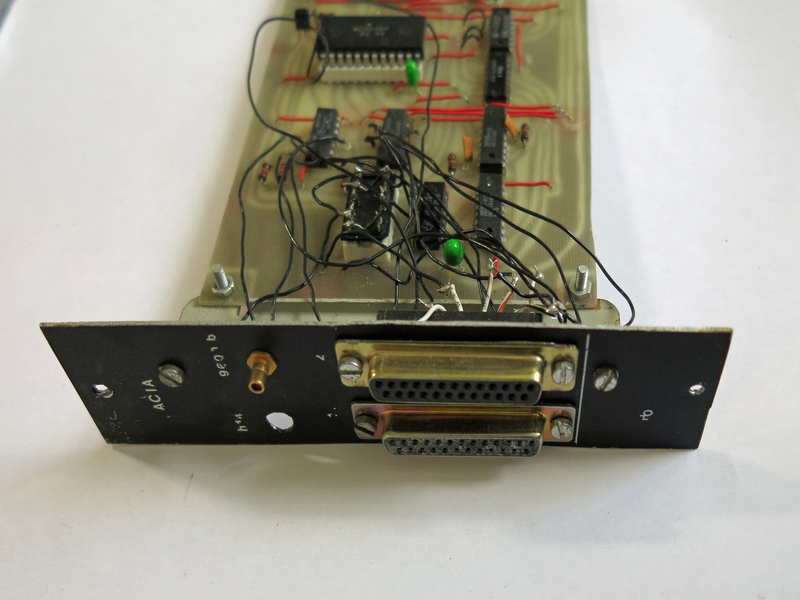 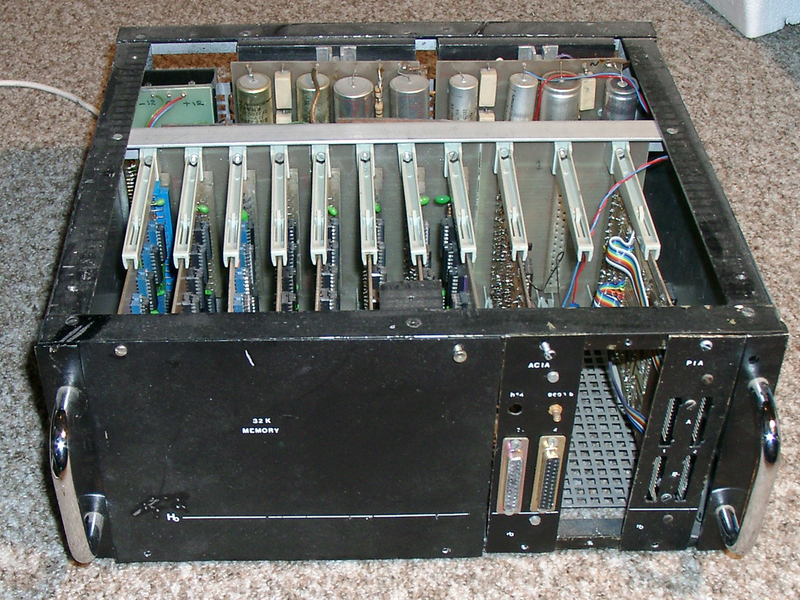 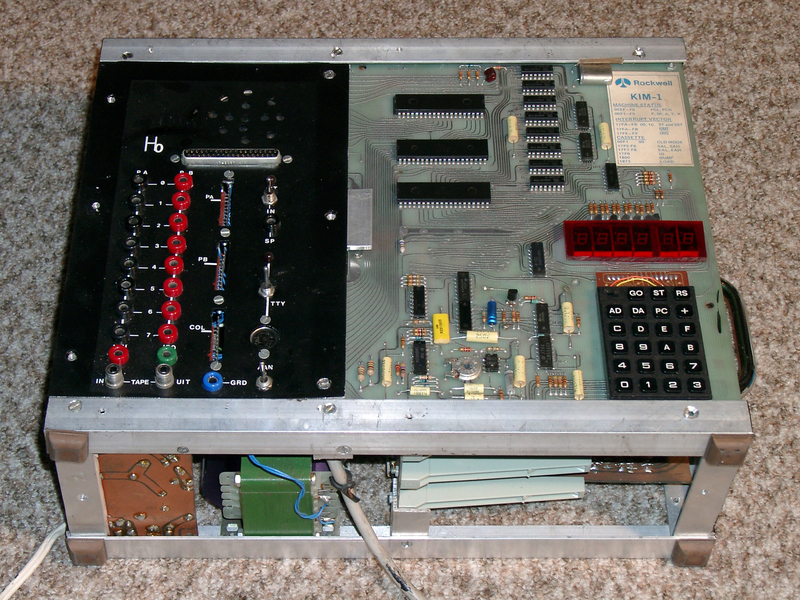 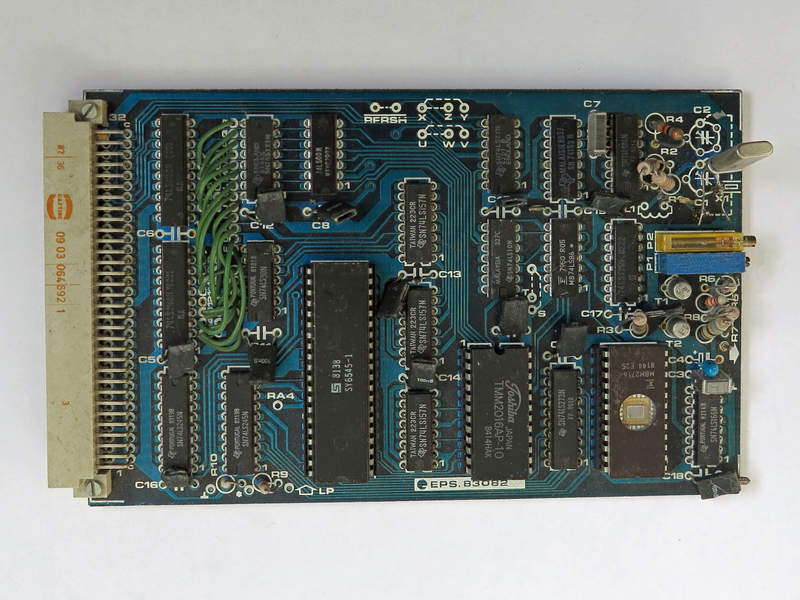 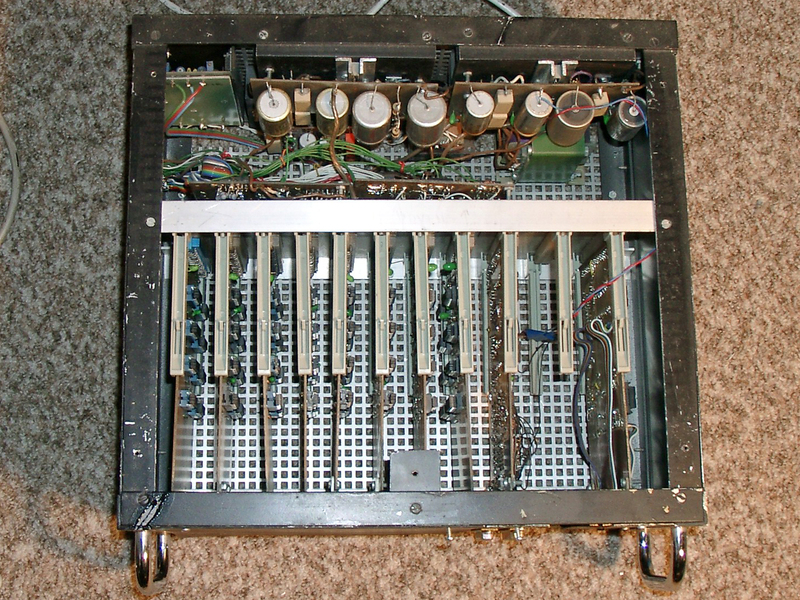 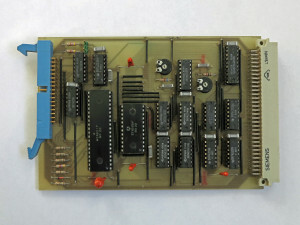 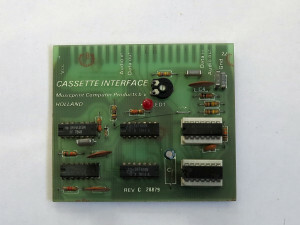 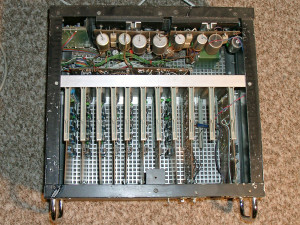 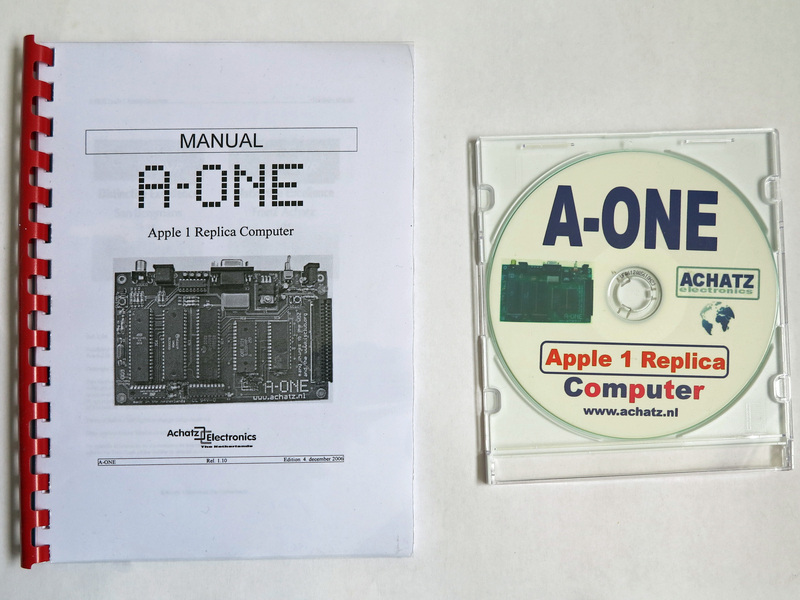 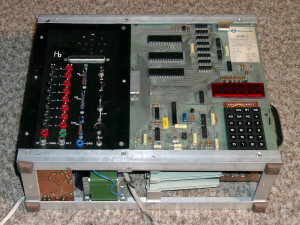 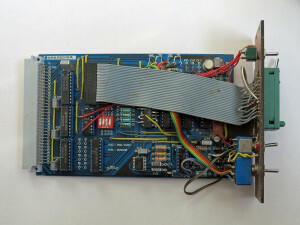 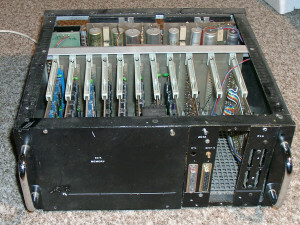 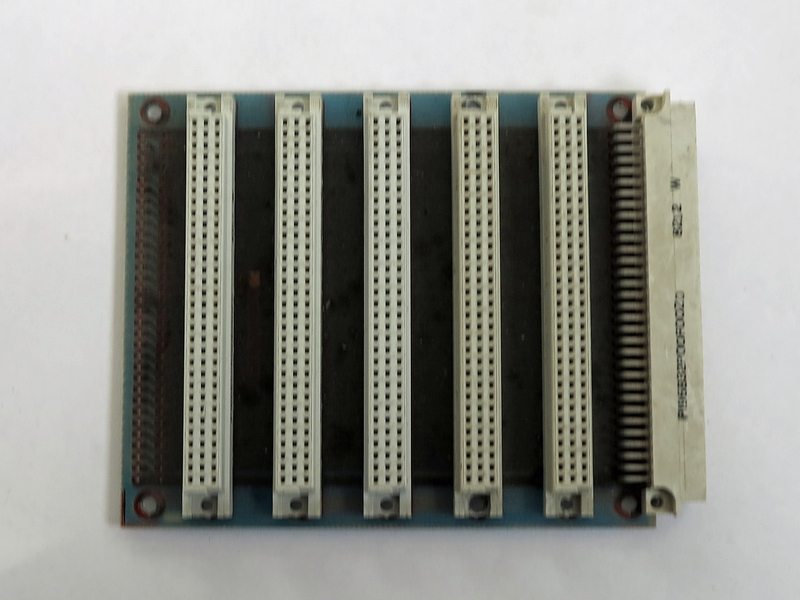 All I/O, serial I/O, datacassette I/O, speaker, enhanced with 12 K memory in main case. 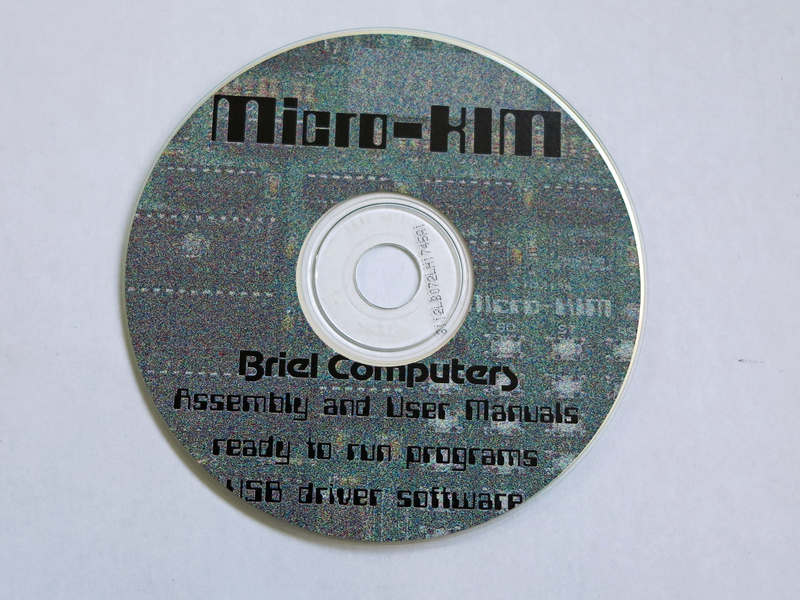 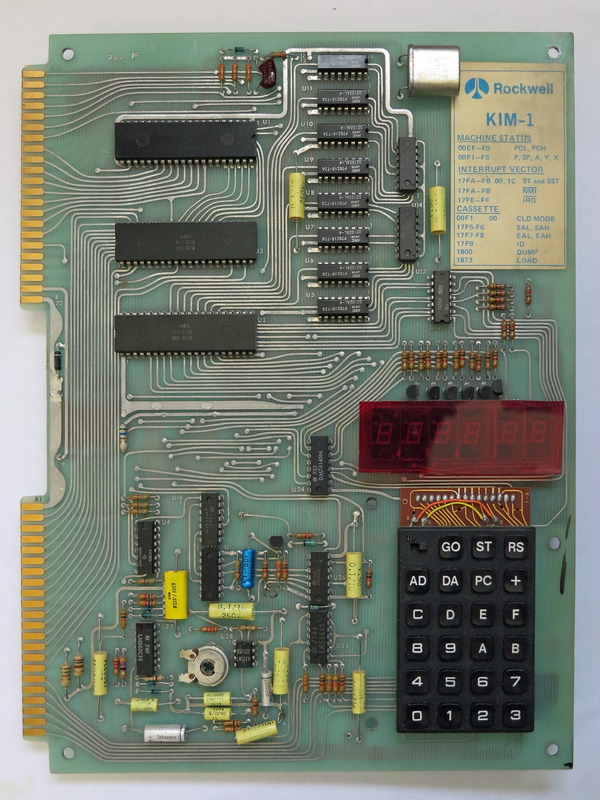 I only have the KIM-1 itself now, the boxes has been dismantled. 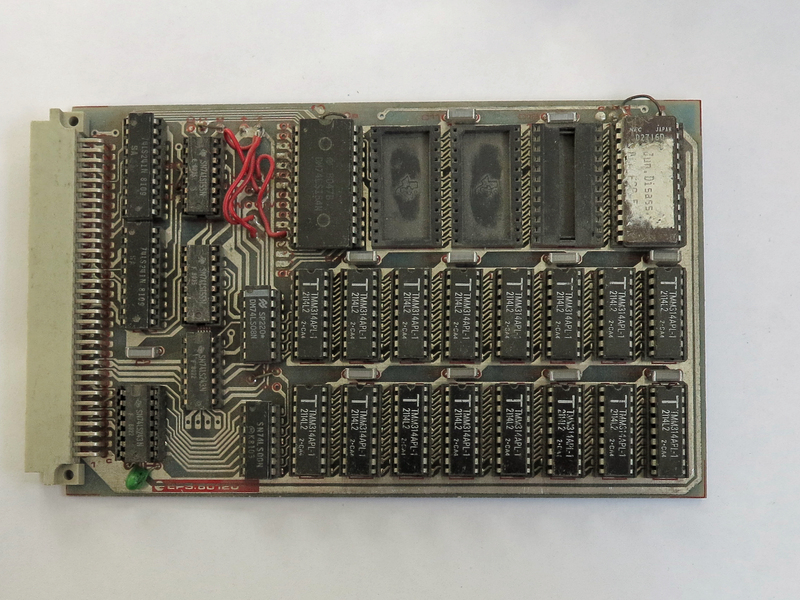 Memory boards and I/O boards are still around..
32K in expansion cabinet with 2x 6820 PIA and 2x 6850 ACIA. 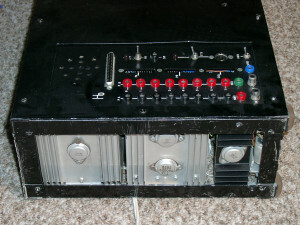 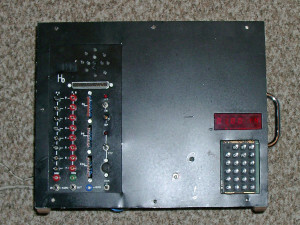 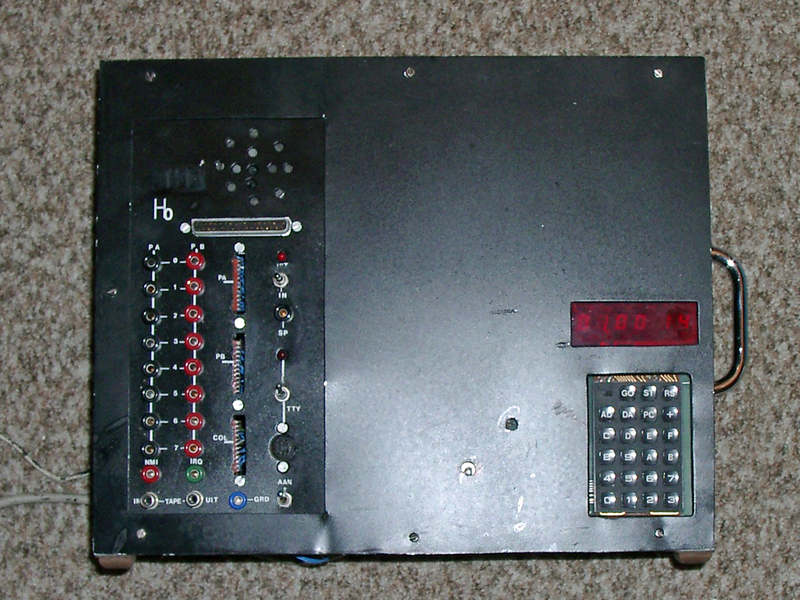 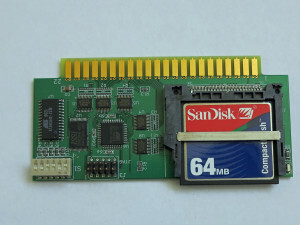 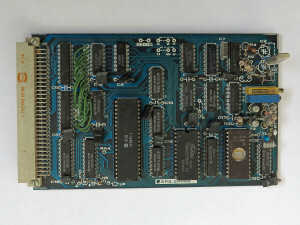 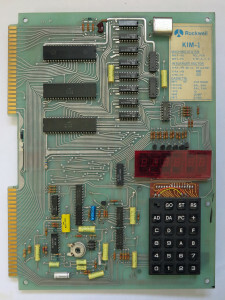 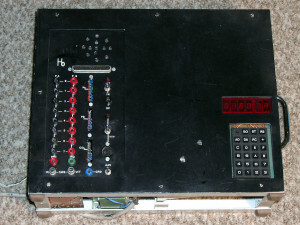 The KIM-1 rev F out of the box. 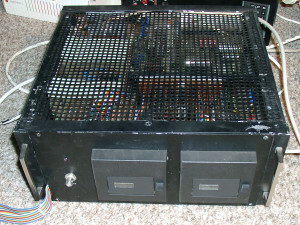 The capacitor was moved to the underside to make it fit in the case. 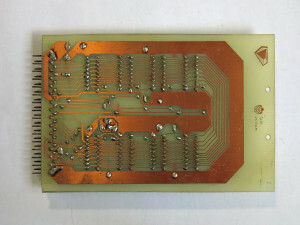 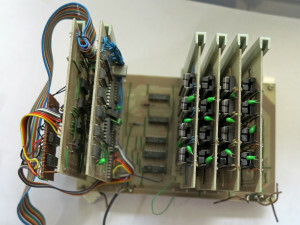 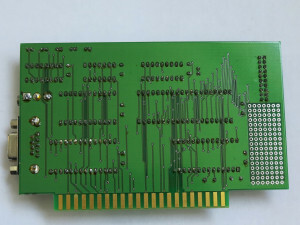 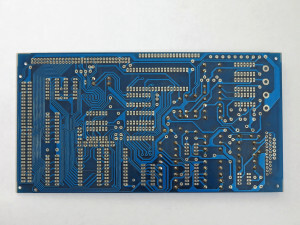 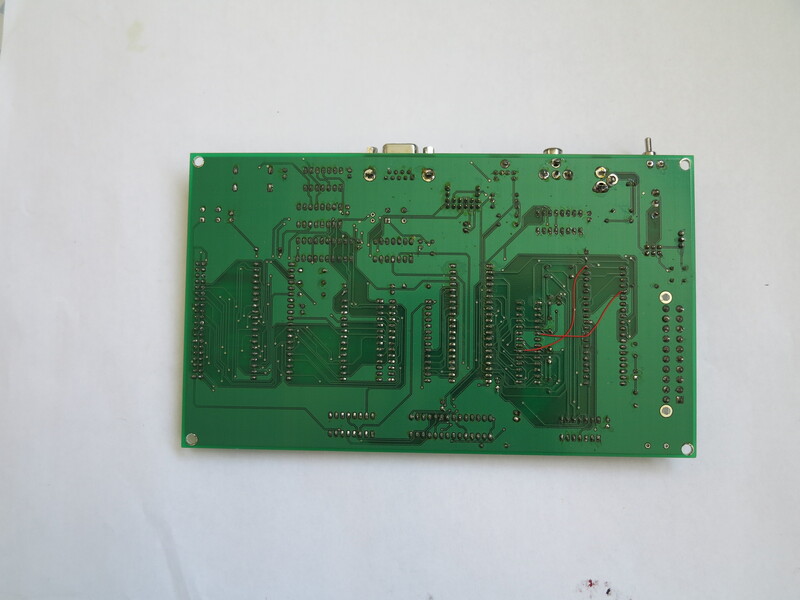 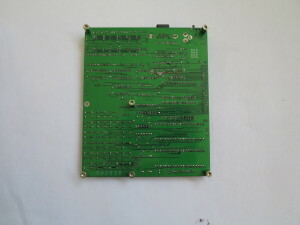 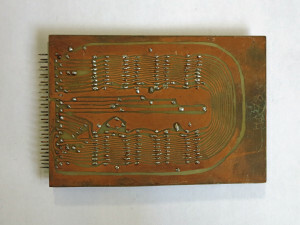 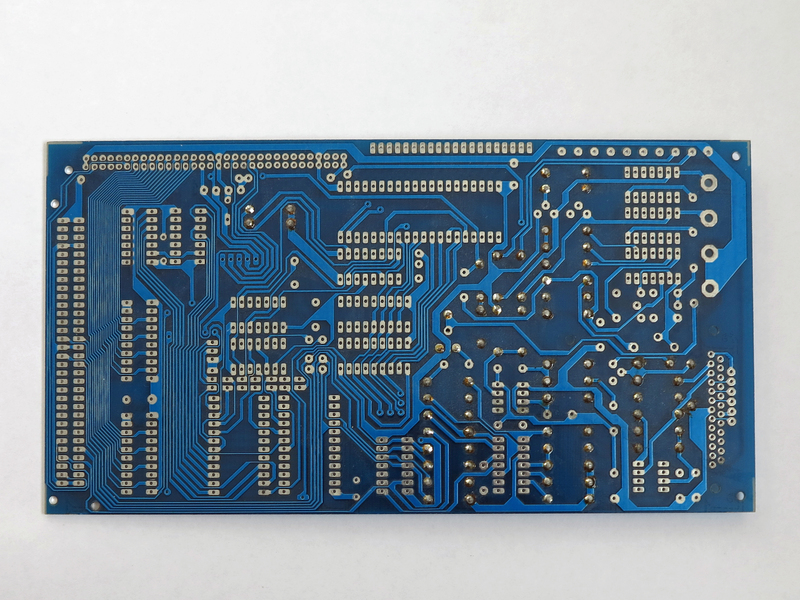 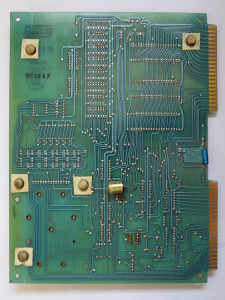 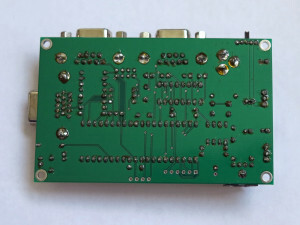 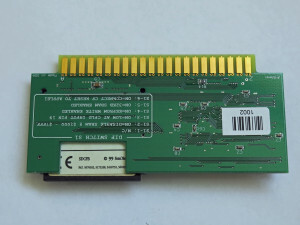 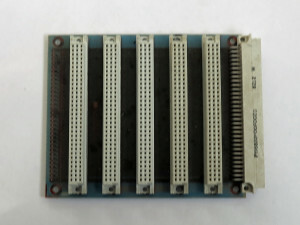 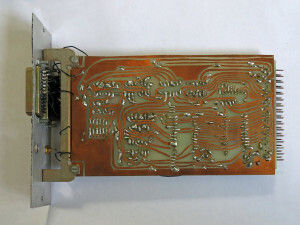 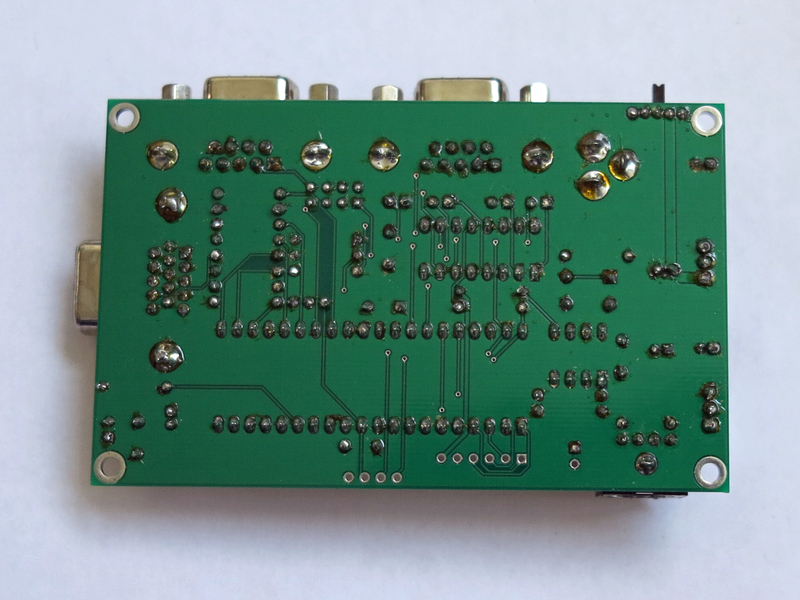 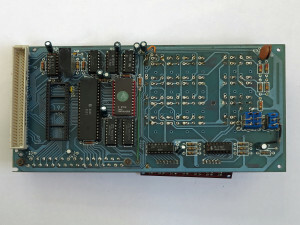 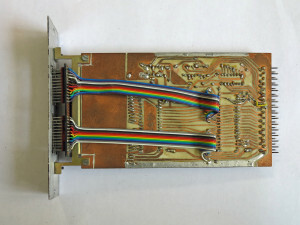 4K SRAM with 8x 2114 (1024×4) production quality PCB’s made by VAE. licensed by me. 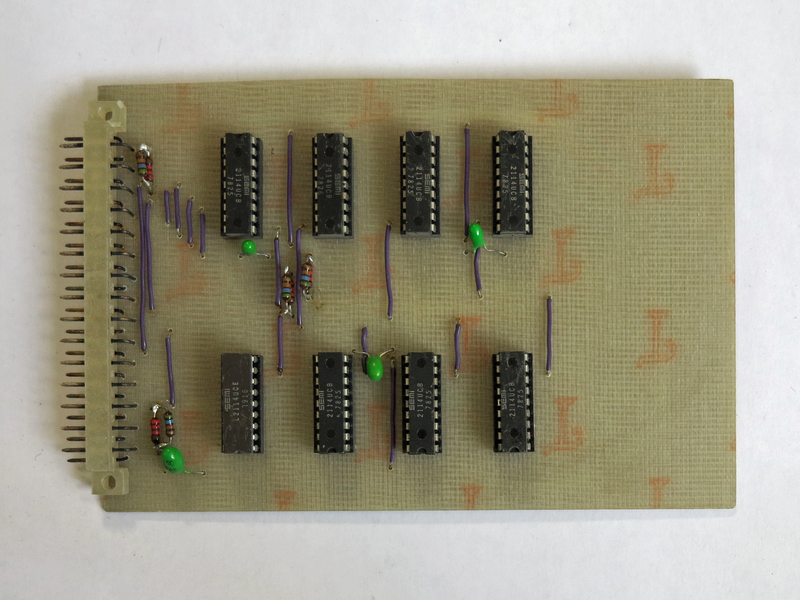 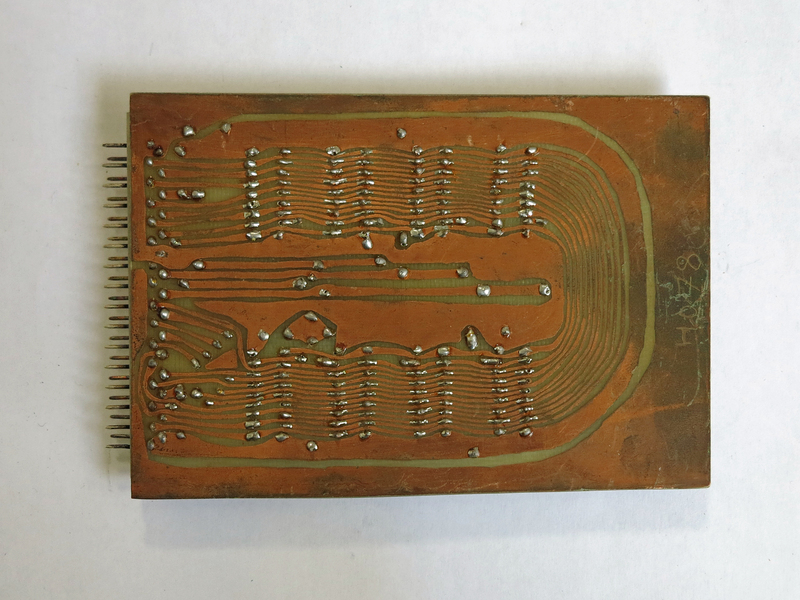 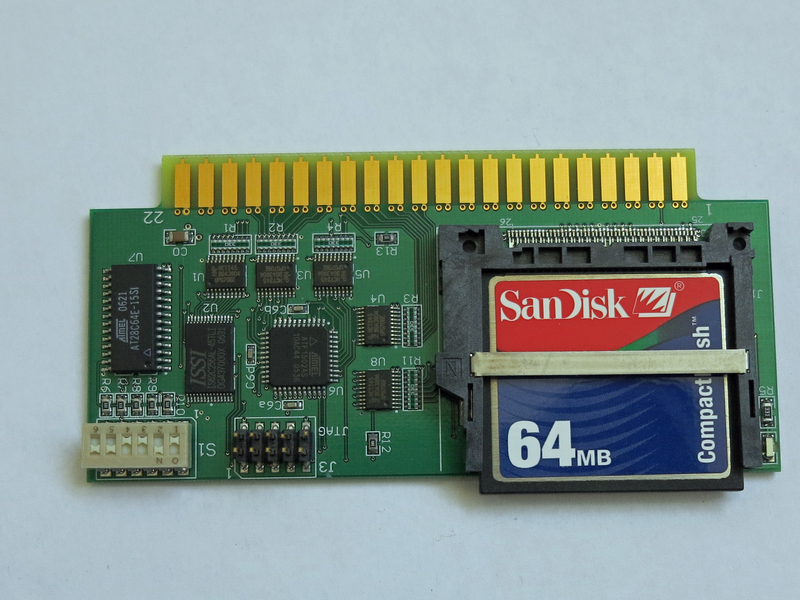 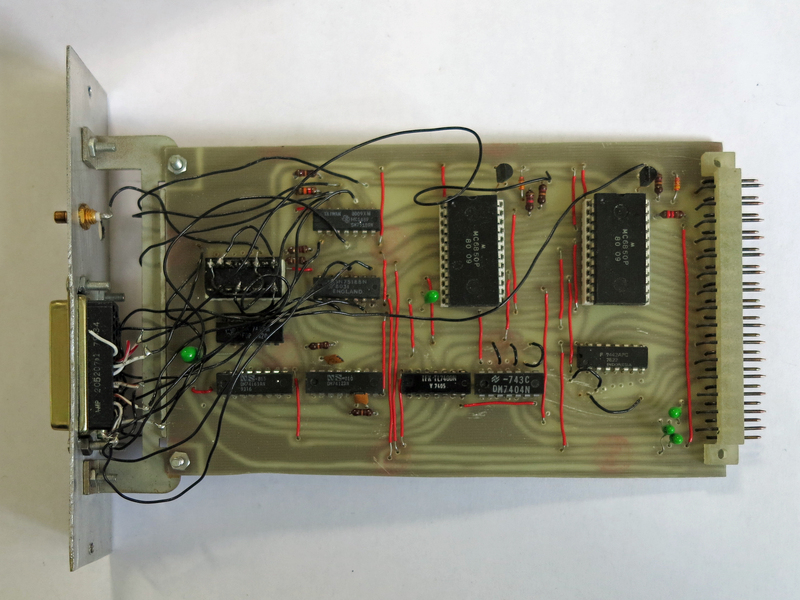 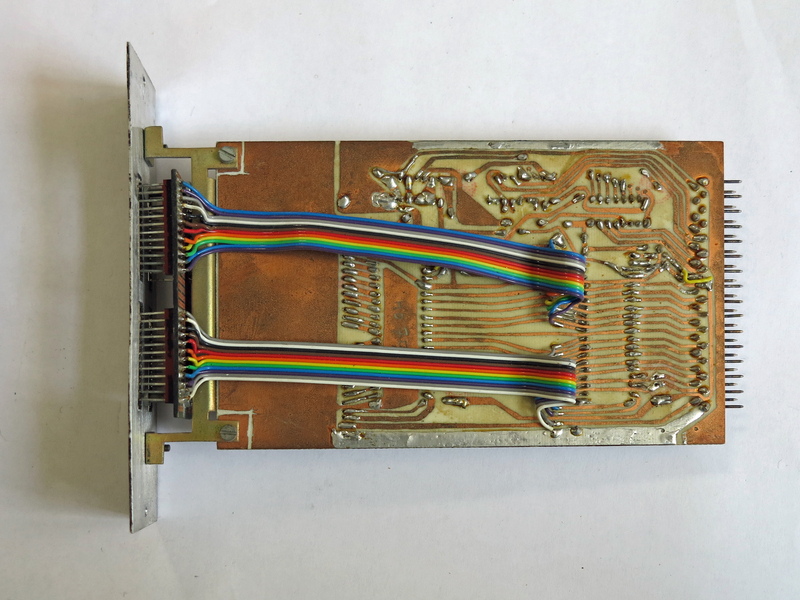 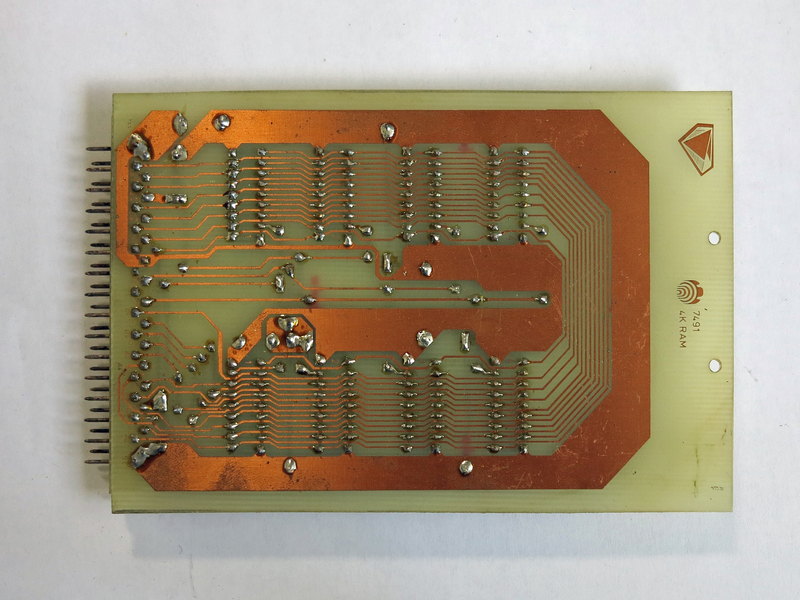 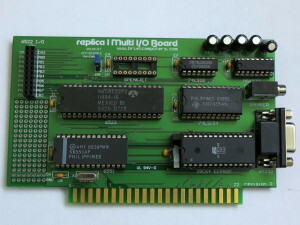 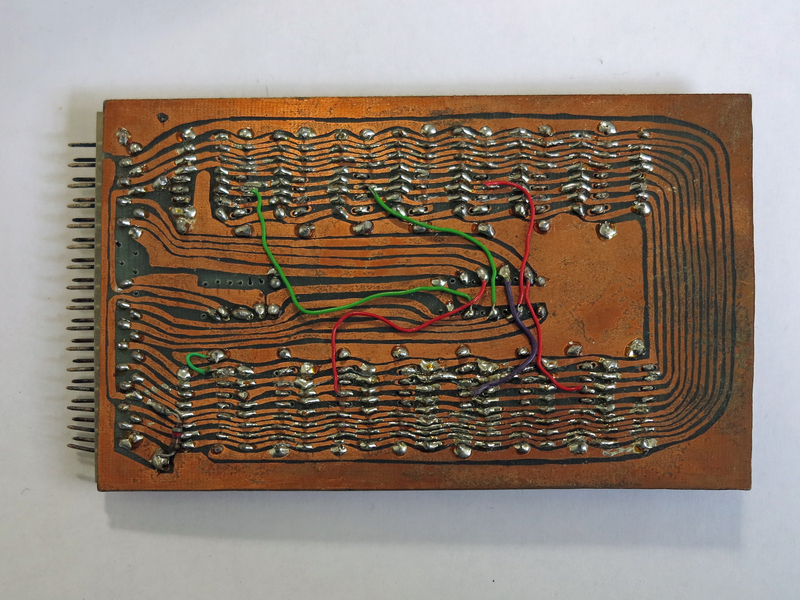 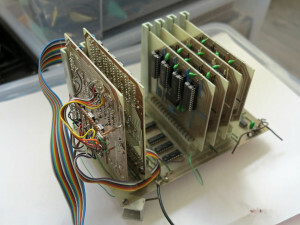 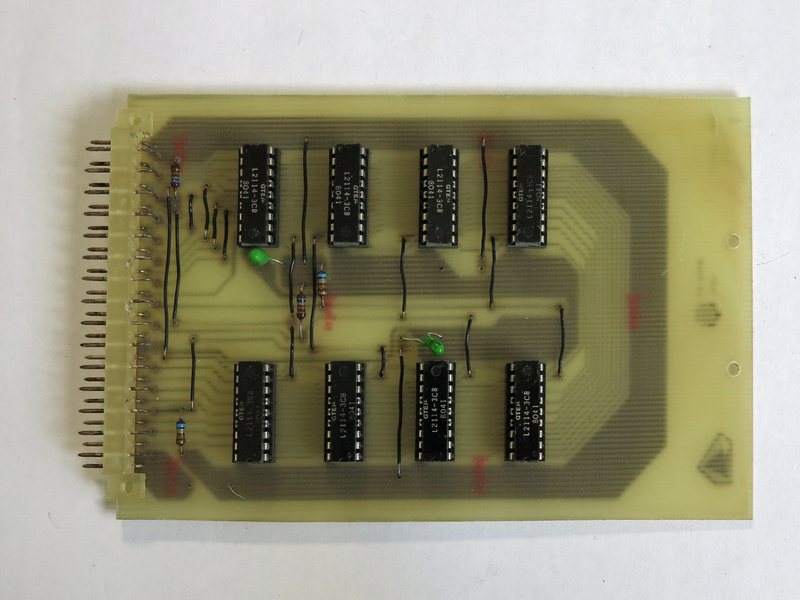 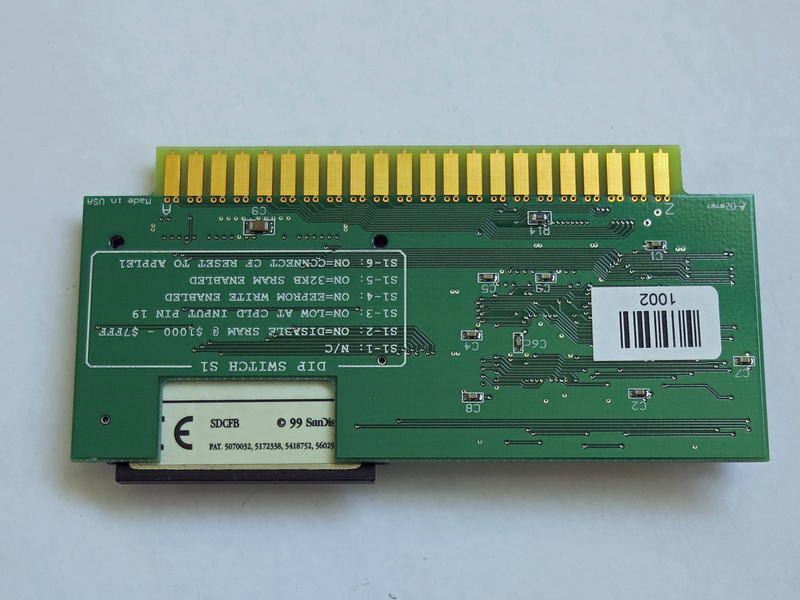 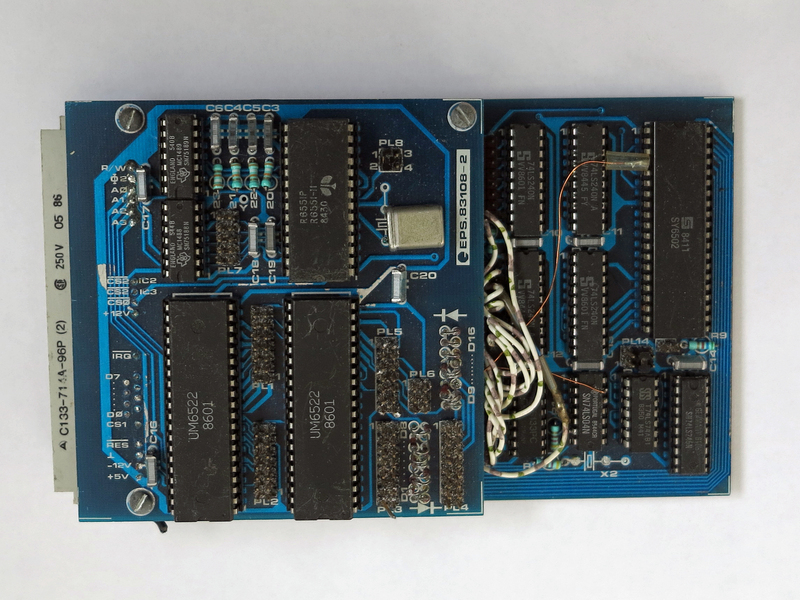 4K RAM with 8x 2114 prototype, home made PCB by drawing with ink directly on the PCB. 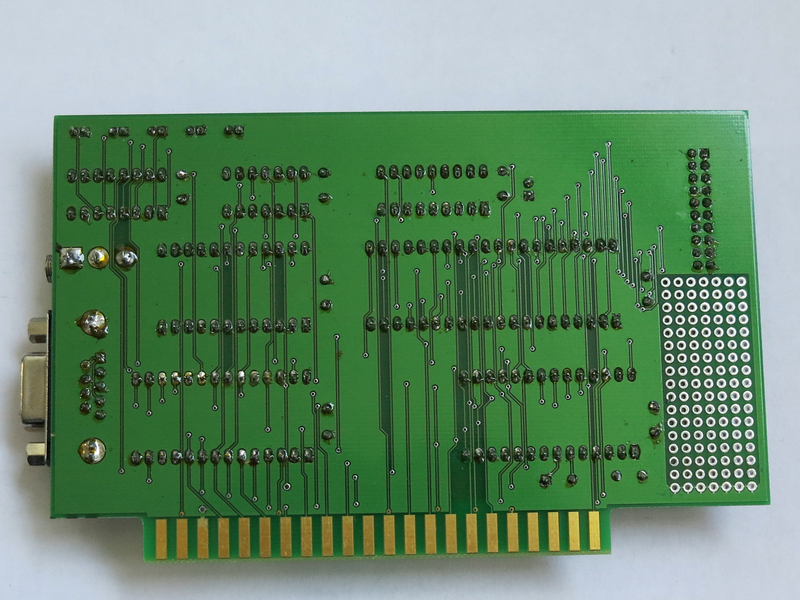 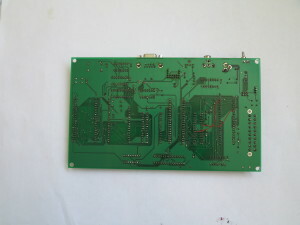 2K SRAM with 16x 2102 (1024×1), prototype, home made PCB by drawing with ink directly on the PCB. 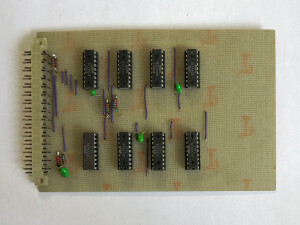 Radio Bulletin Grafisch display with scroll modification. 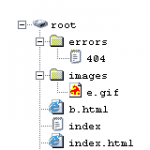 Well documented! Kits are for sale on ebay. 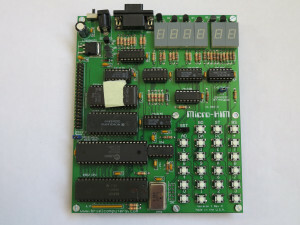 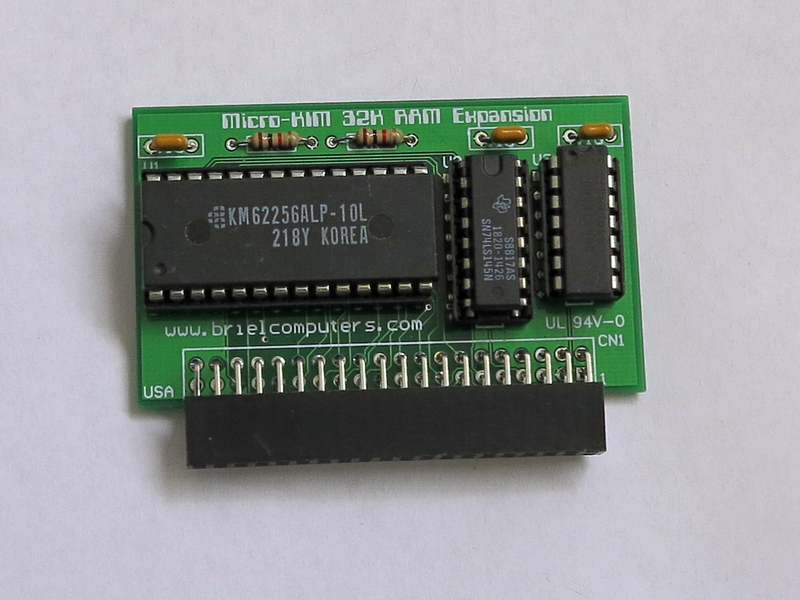 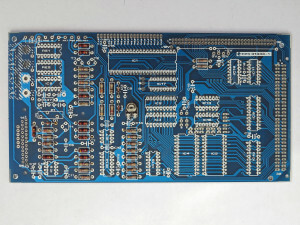 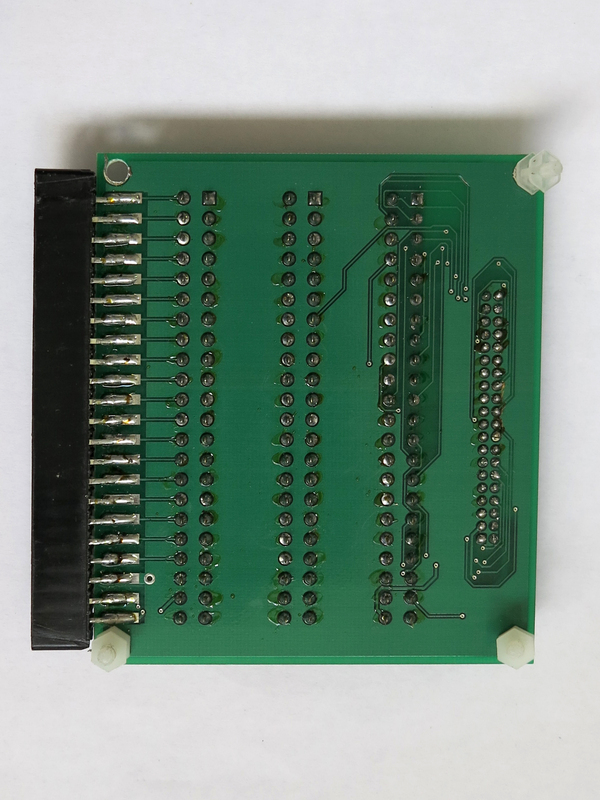 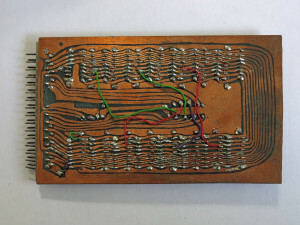 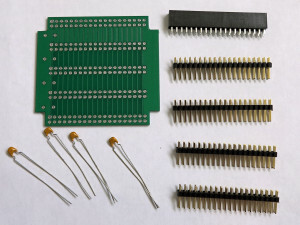 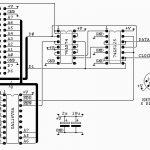 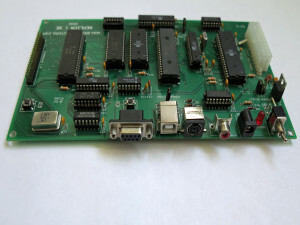 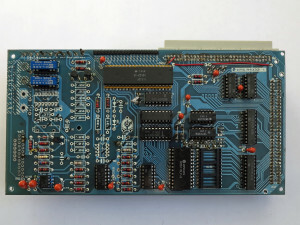 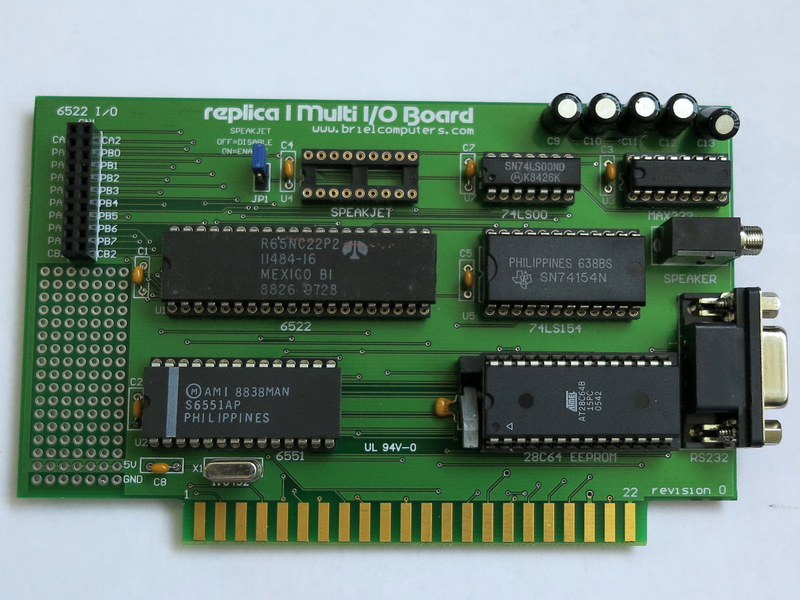 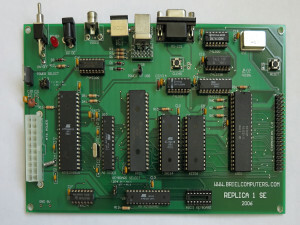 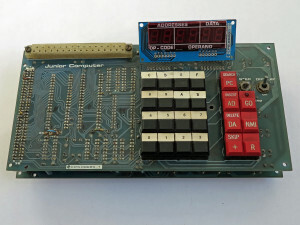 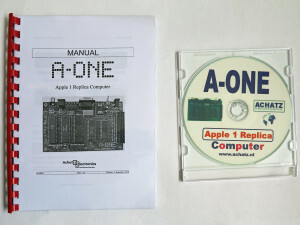 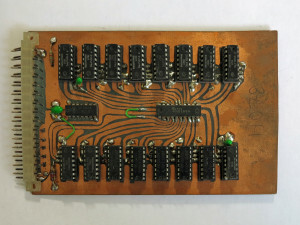 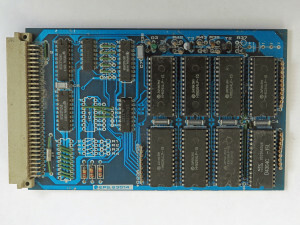 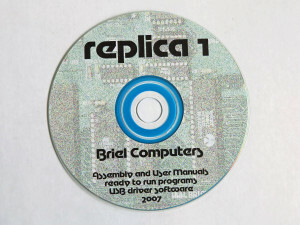 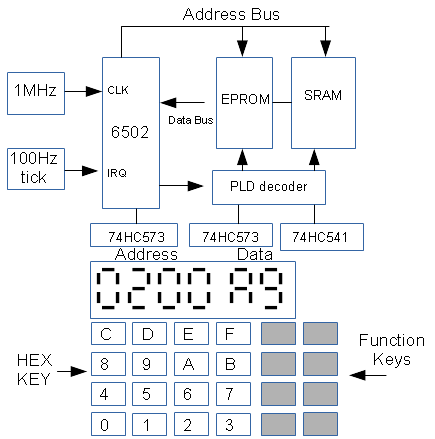 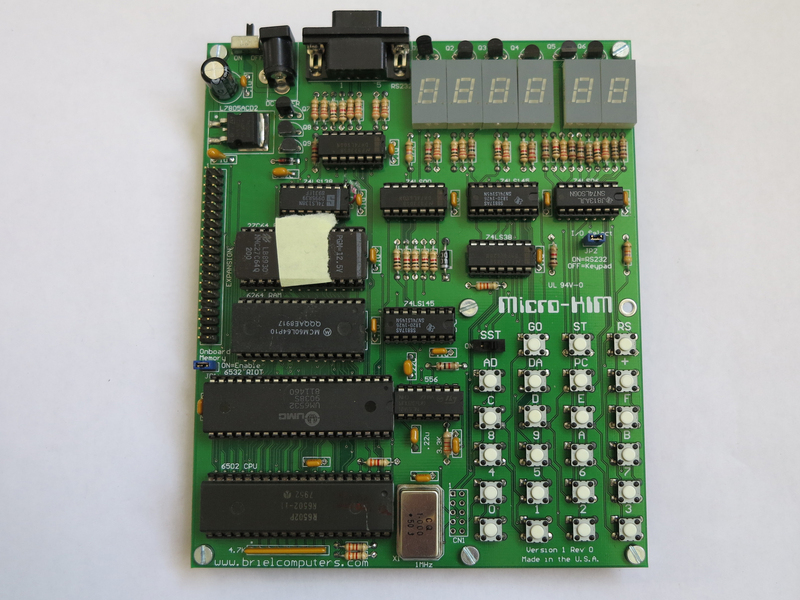 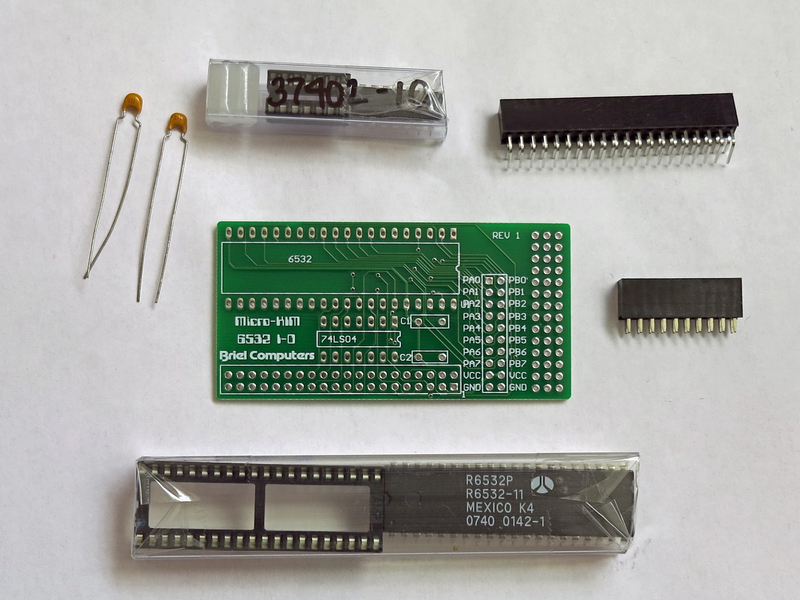 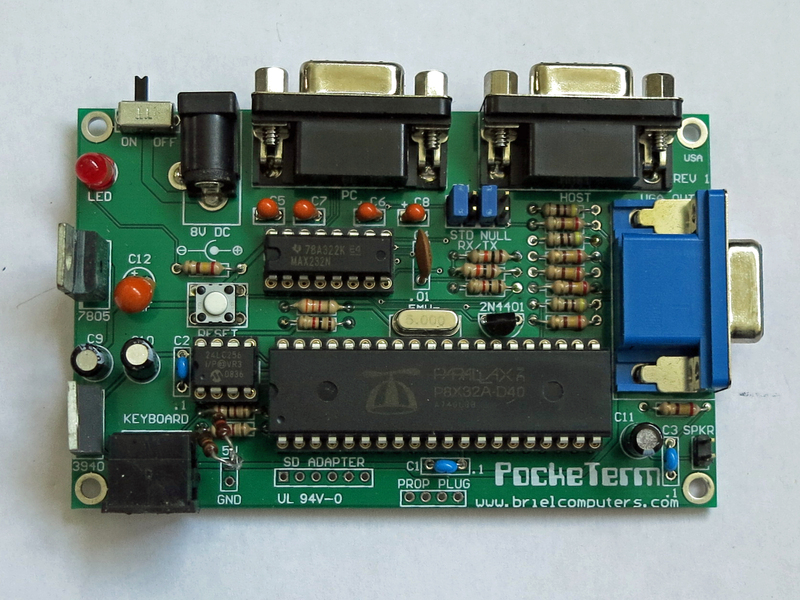 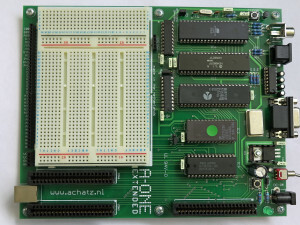 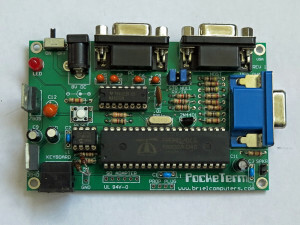 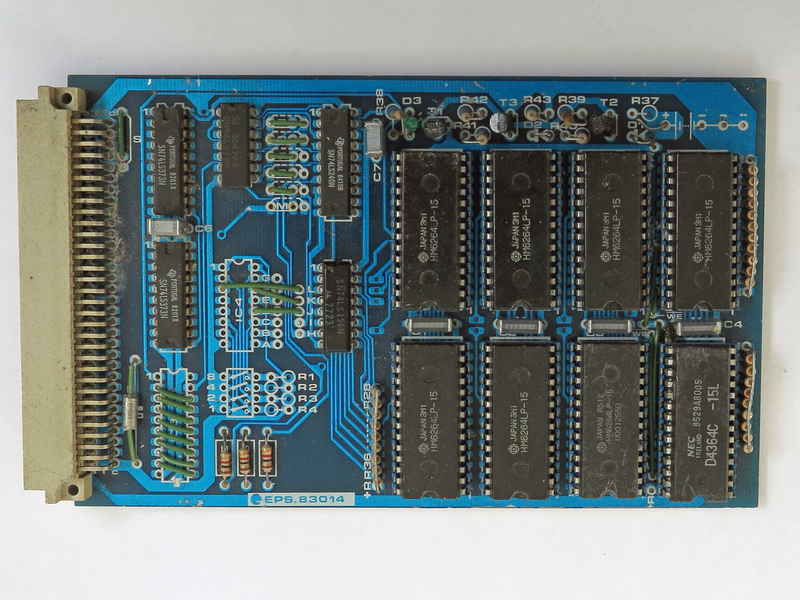 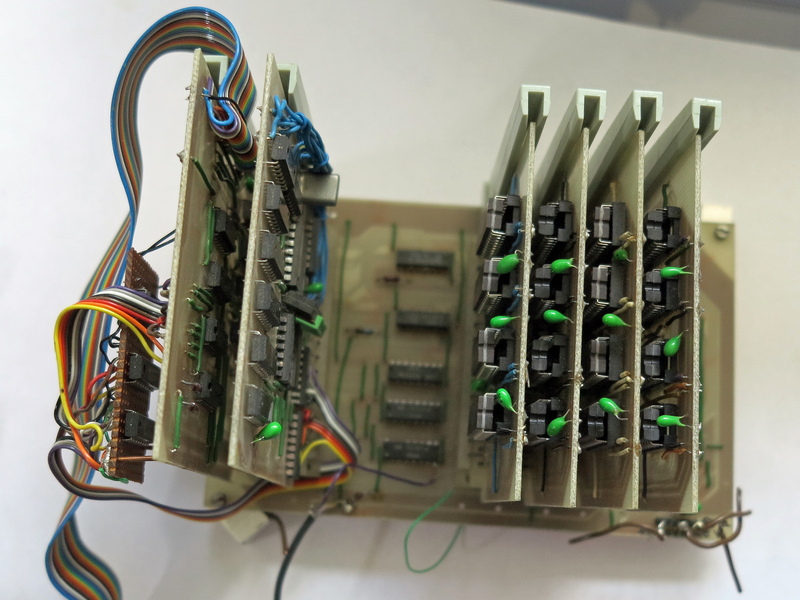 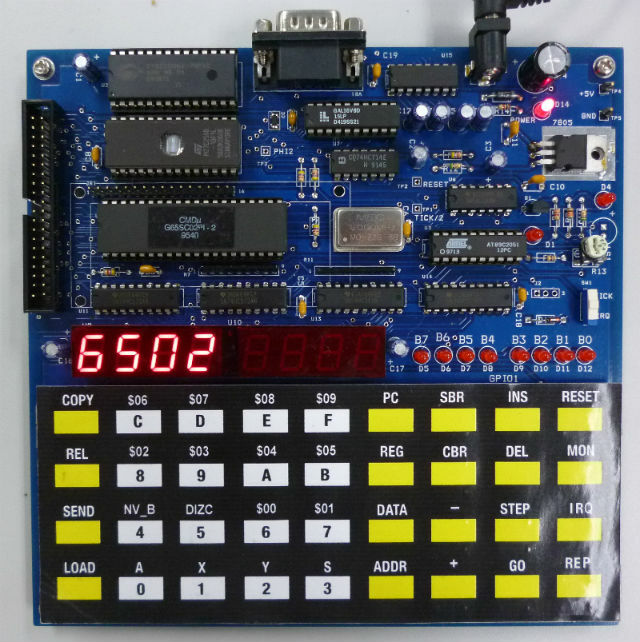 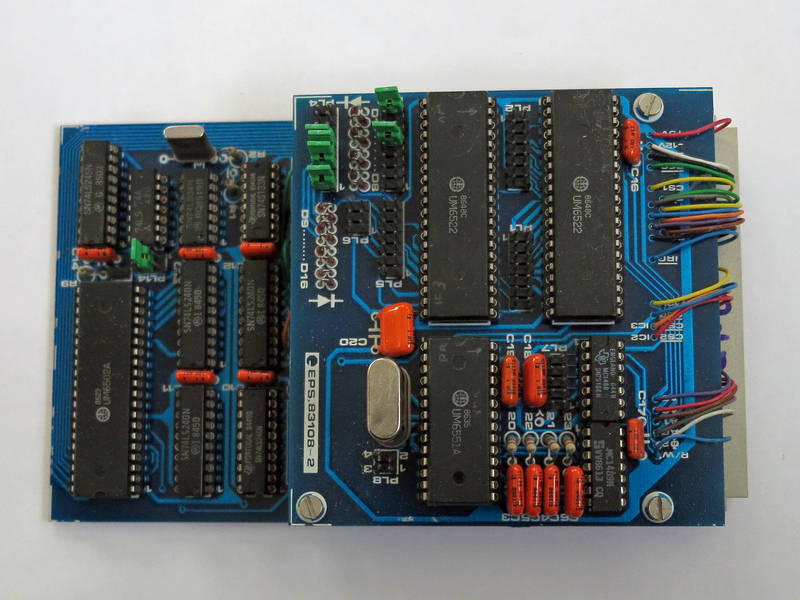 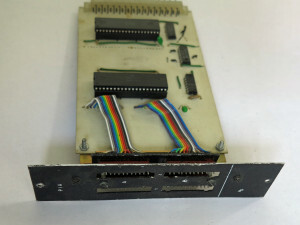 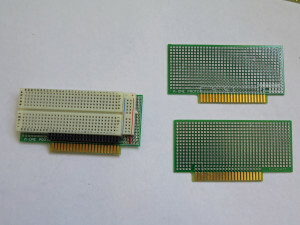 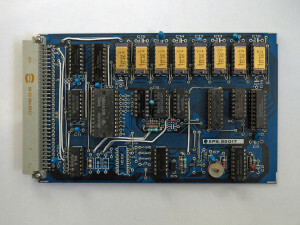 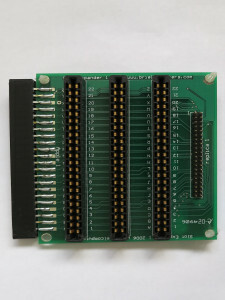 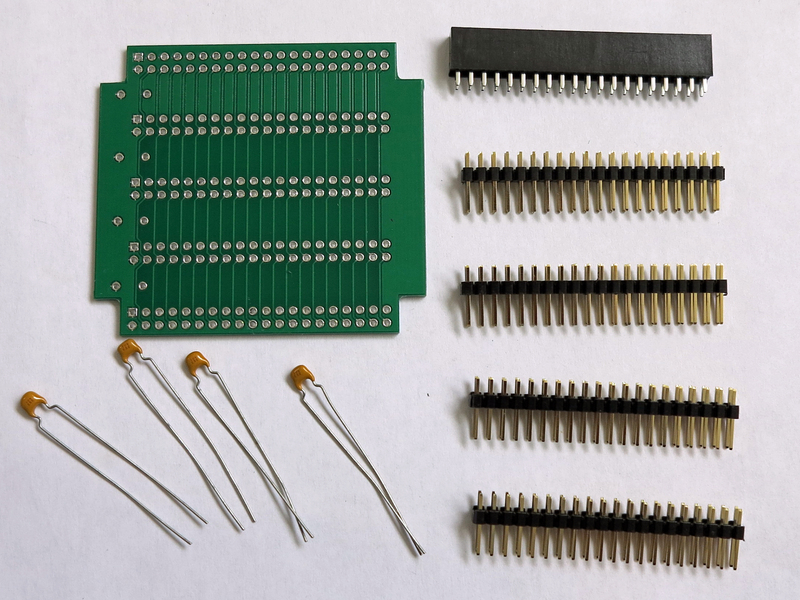 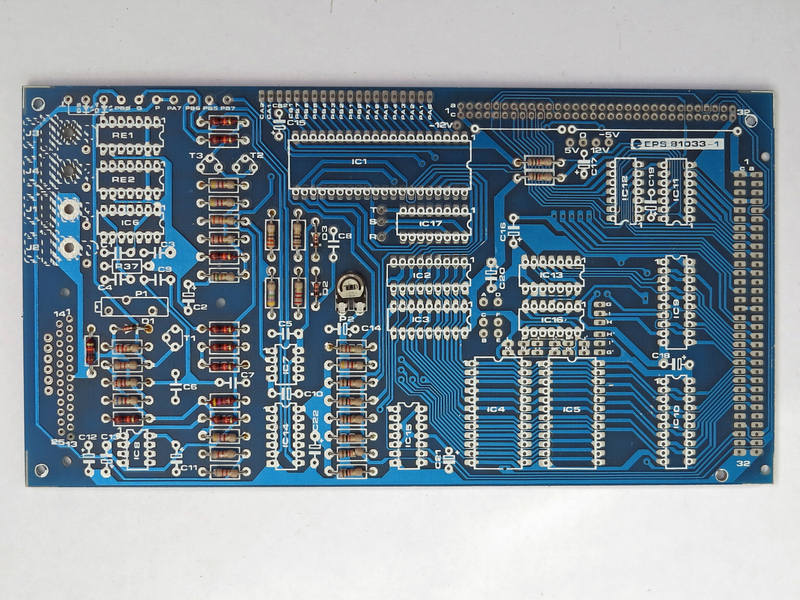 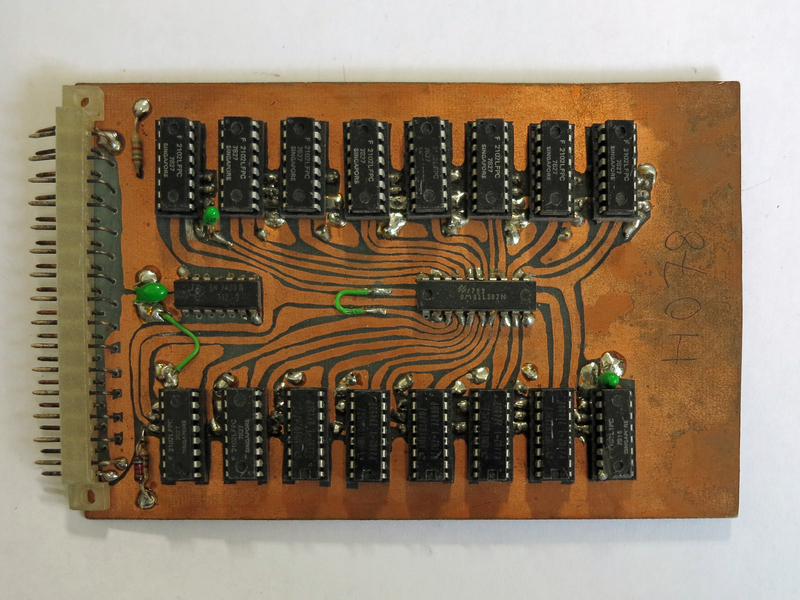 The author, Wichit Sirichote, has designed a whole range of these kits for Z80, 8080, 6802 and more.